Well, I’m afraid I’ve got some news for you, Bauhaus. The bats are unlikely to have left the bell tower, no matter which classic cult horror movie legend has just passed into the great beyond, because bats don’t often tend to roost in belfries. According to the Bat Conservation Trust (pdf), bats do roost in churches – it’s just they seem to find bell towers far too noisy, dusty and draughty for their purposes (and who can blame them). Sorry to ruin the illusion! Honestly, it’s true, bats really aren’t as scary as all that, despite the continued attempts of Halloween tradition to try and convince us otherwise. I’m very fond of the little critters (they’re seriously cute – no, they really are! ), and I find their lives fascinating. Which is why, this Halloween, I’ll be looking at bats in much more detail, and trying to separate the facts from the fiction. The basic bat facts are these. Bats are the only true flying mammals. Rather weirdly, their wings are similar in structure to the bones in a human hand. Most bats eat insects, navigating and finding their prey in the dark using echolocation, which works in a similar way to sonar. Bats are found the world over, and make up about 20% of all mammals across the globe (over a quarter here in the UK). Happy Halloween to all my spook-tacular readers! How to work out if they’re dead… or just undead. 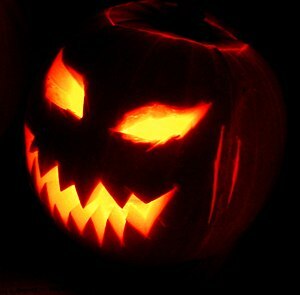 Jack O’Lanterns, second sight, Soul Cakes and sea monsters – Halloween traditions and superstitions. Single? Try some of these methods for predicting your love life at Halloween. Things that go bump in the night – ghostly tales for Halloween. Creepy crows and foretelling the future. It’s Halloween again. The one night of the year when the spooky and gruesome is all around us – and the undead walk…. Here at Another Kind Of Mind, I do worry about you, my lovely readers, at this time of the year; a season when the nights are creeping in and the cold wind rattles spookily through the keyhole in the dark – and especially what with all those zombies and vampires who’ll be out on the streets tonight, just waiting to eat your brains or drink your blood when you least expect it. So, just in case you should encounter one of the undead on your travels this Halloween, I put together this handy historical guide to making sure they’re really dead… Or are they? Modern medicine has all sorts of highly technical and complex methods of checking whether or not an individual has sadly breathed their last (and even then they don’t always get it right). Determining whether someone is dead or not isn’t always as simple as you might think.